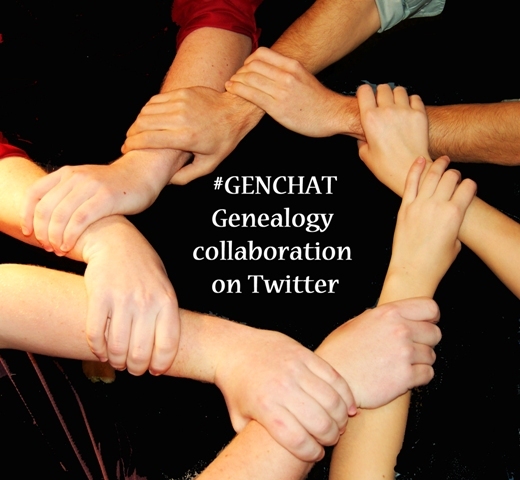 This week's prompt for Amy Johnson Crow's 52 Ancestors in 52 Weeks Challenge is Longevity. This is Lillian Hildur Ingeborg Johnson, my paternal grandmother's first cousin, photographed at my grandparents' 50th wedding anniversary in 1981. I didn't know Aunt Lil, as she was known to me, very well, I am sorry to say. Since I began researching my family I have discovered that she was a very interesting person, and I wish I had known her better. 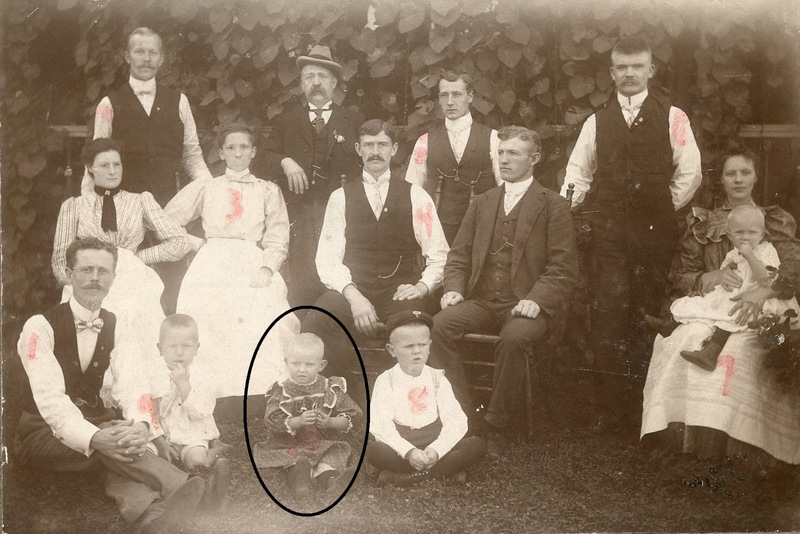 Aunt Lil in an undated photo seated between my great-uncles. 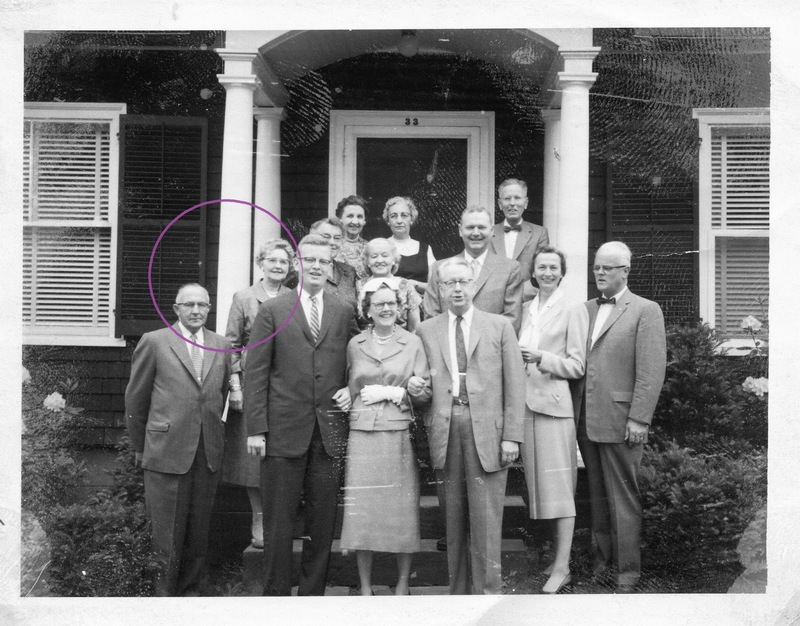 Aunt Lil was born on February 16, 1897 in South Manchester, CT to Anna Olivia Johnson and Carl Johan Johnson, a police officer. (Anna Olivia was the sister of my great-grandmother who I mentioned in my last post. They came to America together with their friend Selma.) She also had twin brothers, Ragnar Wilbert Luther and Carl Herbert Martin born in 1903 (3). 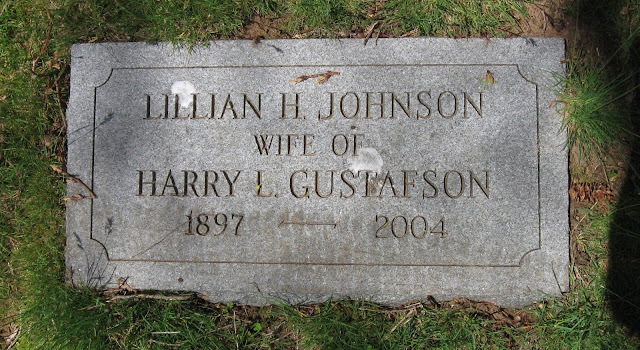 Lillian married Harry Leonard Gustafson on August 12, 1922, in Manchester. Together they had one son, Donald Harry born in 1927. 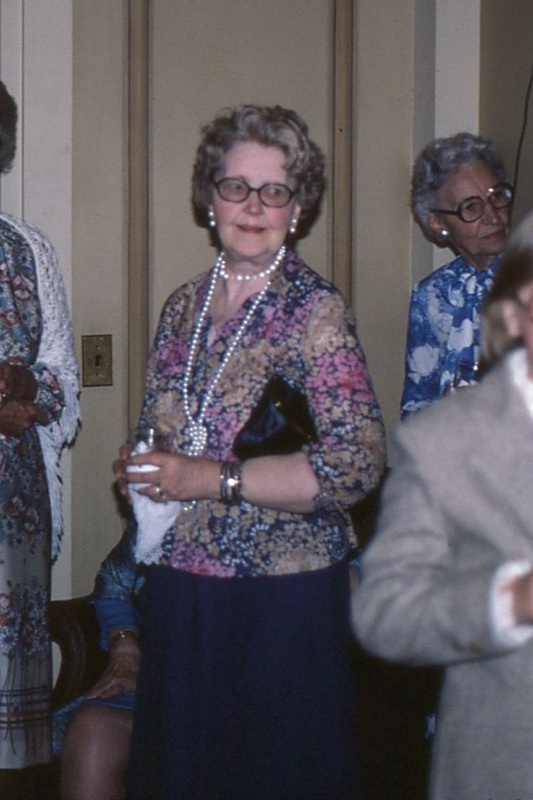 Harry predeceased Lillian in 1978 (3). Undated photo probably taken in the mid- to late-1950s. Lillian and Harry are circled. When I was preparing for my first visit to Manchester as a researcher and the first since my childhood, I was very surprised to learn that Aunt Lil lived to be 107, dying in 2004, just one year before my own father. According to an online obituary and an issue of the journal of the Manchester Historical Society which I have yet to verify with original records, she was the charter member of the society, which thrives to this day, and one of the first women to vote in the State of Connecticut (6). A videotaped interview with Lillian was inventoried in the donation of another member of the historical society. I have been trying to track it down but haven't had any luck so far. I plan to research Lillian's life further and honor her memory by telling more of her story. (1) Johnson, Lillian Hildur Ingeborg. Photograph taken in October of 1981, privately held by Anna C. Matthews [ADDRESS FOR PRIVATE USE,] Rockville Centre, NY, 2018. The image was digitized from a slide among a collection of the Anna’s father’s slides and was given to her by her stepmother December 25, 2006, her father having died in 2005. The image was cropped to highlight the subject. (2) Johnson, Lillian Hildur Ingeborg. Photograph taken ca. 1899 or 1900 as estimated by the apparent age of Lillian who was born in February of 1897, privately held by Anna C. Matthews, see above. It was found in the basement of her stepmother’s home in 2015. Subjects are identified by number and by writing on the back of the photo. The writing is believed to be that of Anna’s grandmother, Dagmar Alice Viola Anderson. (3) Annie & Bertil Freidlitz, Kyrkebo-Släkten Släktbok for Ättlingar Till Helje Larsson och Maria Ericsdotter I Kyrkebo, N. Hestra [Kyrkebo Family Book for Descendants of Helje Larsson and Maria Ericsdotter from Kyrkebo, N. Hestra], 1968; I: Andra grenen [Second branch] VIII: 4-1 Privately held by Anna C. Matthews, This book offers only a generic list of sources consulted with no specific documentation for any piece of data. (4) Johnson, Lillian Hildur Ingeborg and Gustafson, Harry Leonard. Photograph taken ca. 1955 as estimated by the apparent ages of the subjects, privately held by Anna C. Matthews, see above. It was found in the basement of her stepmother’s home in 2015. Subjects are identified on the back of the photo. The writing is believed to be that of Anna’s grandmother, Dagmar Alice Viola Anderson. (5) Headstone of Lillian Hildur Ingeborg Johnson. Photograph taken on May 2, 2015, at East Cemetery, Manchester, CT, and privately held by Anna C. Matthews. She rests in the same plot as her husband and other members of the Gustafson family. (6) “We Will Miss…” The Courier, quarterly newsletter of the Manchester Genealogical Society, Inc. - 39, No. 4 (September 2004): 5. Wow 107! I wonder how she felt living that long. I had a great aunt who watched all her sisters and cousins and friends die. She said, “If I don’t hurry and die, there will be no one to come to my funeral!” I think she was serious.